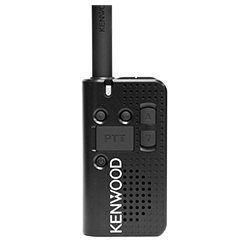 Popular Protalk Two-Way Radio to Improve Retail Efficiencies. Two way radios are a popular tool to improve retail efficiencies. With instant communications between management and employees or between security staff, response times can be lessened and profitability improved. With staff spread throughout the facility, common activities such as price checks, cleanups, or inventory related issues tend to tie up more time than is necessary. Equipping security staff with radios allows them to respond more quickly to accidents, disturbance, or theft. The size of retail establishments vary from relatively small shops to huge discount stores. Because of this, there is no perfect radio for all scenarios. Small to medium sized stores will be happy choosing a small, lightweight business radio, while larger stores will need a more powerful business radio. Single channel radios are adequate for many situations, but multi–channel models may be helpful if you have several groups that need to have separate communications. Recommended radio for Retail Sales Communications.